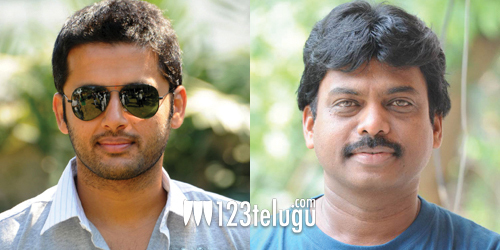 It was earlier reported that the young hero Nithin who is riding high with back to back hits has joined hands with director Karunakar for a romantic entertainer. Now, this film has already completed two shooting schedules while the filmmakers have zeroed in on the title ‘Chinnadana Neekosam’. Interestingly, this happens to be the title of a song from Nithin’s hit film ‘Ishq’. Mishti Chakraborthy of the Hindi film ‘Kaanchi’ has been paired opposite Nithin. Anoop Rubens is scoring music for this film which is produced under Nithin’s home production ‘Shresta’ banner.